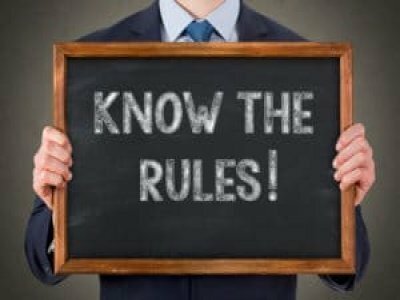 OHS Regulations 2017: Are You Really Compliant? As you’re no doubt aware, on the 17th of June the new OHS Regulations 2017 came into effect in Victoria. Some significant changes have been made, so it’s vital to know how they will affect you. This is especially true if you have asbestos in your workplace, are involved with hazardous chemicals or are in the construction or mining industry. Regulators have reworded some of the existing laws to clarify their scope. The new legislation also uses a simpler consecutive numbering system. Manufactures, imports or labels hazardous chemicals. Is in the construction industry. Is a mine or major hazard facility. In this article, we will focus on the major changes in legislation that are most relevant to our clients. For more customised advice, call us on 1300 856 282. The old Regulations covered fixed and installed asbestos in workplaces. The new Regulations now also apply to asbestos in soil and asbestos contaminated dust. All asbestos in the workplace must be identified during an audit (including asbestos debris and contaminated dust). As a result of this change, you may need to have your asbestos register reviewed in order to be in compliance. A new asbestos audit may be necessary. Employers must develop emergency procedures to prevent engulfment by soil or other materials on construction sites. Policy makers have broadened the legislation to include the risk of falls below 2 metres. Legislators have applied the Globally Harmonised System (GHS) to hazardous substances. All classification and labelling of chemicals must follow this system. Minor exceptions to this rule are set out in Regulation 150 of the OHS Regulations 2017. The Globally Harmonised System (GHS) is a world-wide standard of chemical classification. It ensures consistency in labelling and accurate communication of hazard information between countries. Legislators have changed the licensing requirements and classes of High Risk Work. Their aim is to make licences more relevant to the skill levels necessary for this work. Don't know how the OHS Regulations 2017 will affect you? JTA can perform a legislative gap analysis tailored to your company. Call us on 1300 856 282. Disclaimer: This article is not intended as legal advice, and was correct at the time of writing. Legislation may vary between states, and is subject to change.